1 Only 7 TOTAL Steps to execute! 1.2 Pay attention to Kroger coupon, Swagbucks coupon, digital coupon and manufacture coupon! Only 7 TOTAL Steps to execute! Here, we go through more details on all the steps. Make sure to follow one by one, and in the end, your results will follow you! If doing all steps are too hard in the beginning, try to increase the number of steps each time you shop. In a short time, you will realize all the saving opportunities!! Make sure to check the rest of Kroger articles! 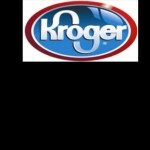 If you don’t have the Kroger Plus card, then go to the local store’s customer service, and apply. It’s a free application, and takes only 5 minutes to complete. If you don’t have the online account, you must register online for all other benefits on other steps below. Get familiar with all the benefit! Oh, while you are at it, do register for the Community Rewards Program. We register for our local Boy Scout Troop that our son has been part of. In this way, you buy what you need for grocery at the local Kroger store and the part of the money spent is rewarded to the Boy Scout Troop. This has got to be the true win-win situation! Pay attention to Kroger coupon, Swagbucks coupon, digital coupon and manufacture coupon! Sooner or later you start receiving Kroger paper store coupons in the mail. Do NOT throw them away!! These coupons have savings for things you normally buy. For instance, coupons include ones for bread, pizzas, chocolate, cheese, and other items. Not only these provide a fairly good coupon savings at $1.00 ranges, but also for things you really need. A recent coupon included a FREE bagel pack of 5! Swagbucks has a printable coupon section that you can use. The good thing with this coupon option is that you can only pick the ones you need, instead of printing out all the coupons you won’t use. ▶️Check out Swagbucks Review if interested. Digital coupon is something that becomes available once you register for the online digital account in step 1. 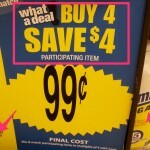 There are certain items that have additional discounts just in digital coupon. You may see a sign in the store showing to get the digital coupon. If you can get this in advance, that will be great. I, however, realize not many people have TIME to look through these in advance. So I only get digital coupons when we see a product we want to buy and it has the digital coupon sign. This can be accomplished at the local store if you use the Kroger App introduced in step 4 below. A while back, I saw a TV program that showed “Extreme coupon moms”. Remember our goal is to minimize the time it takes to maximize the benefit. We are certainly NOT coupon clippers! We don’t buy newspapers, either. So we only get paper manufacture coupons every week from the local papers that automatically get delivered. We then go through these coupons quickly to see if we need something, and keep only the ones we really need. Throw away the rest of coupon papers for recycling!! When you get to the local Kroger store, you MUST look for the clearance rack or cart. Sometimes they may be hidden, harder to notice. For instance, our local store regularly has the clearance rack all the way back in the store, and if you don’t pay attention, you will just pass it. These clearance racks have potentially VERY GOOD price items. We found not long ago that Nature Valley’s Sweet and Salty nut boxes for $1.00 each!!! Usually, this costs $2 ~ $2.50. So that’s a good deal. Continue to Part III of these secrets!